Cherokee, NORTH CAROLINA – April 4, 2016 – The twelfth season of the WSOP Circuit wraps up under the bright lights of the television cameras with the 2016 WSOP Global Casino Championship – an official WSOP gold bracelet event and a share of $1,000,000+ in prize money on the line – from Aug. 9-11, 2016 in North Carolina once again at Harrah’s Cherokee Casino Resort. Harrah’s Cherokee will also host the first WSOP Circuit Event of the 2016-17 season from August 4-16, 2016, with the championship sandwiched in between a robust WSOP Circuit series featuring 12 official gold ring events, including a $1,675 Main Event and a $2,200 High Roller tournament. This is a historic year for the Global Casino Championship (formerly the WSOP National Championship). For the first time ever, it will welcome players from the WSOP International Circuit events. Players from venues in Morocco, Georgia, Italy, the Czech Republic, and Canada will join the contingent of qualifiers from the domestic WSOP Circuit. A total of 100 players earn free seats to the Global Casino Championship. The Main Event winner at each stop of the 2015-2016 WSOP Circuit receives a free entry, as does the Casino Champion at each stop. An additional 12 qualifiers earned seats by winning the Main Event or becoming Casino Champion at a stop on the WSOP International Circuit. The rest of the automatic qualifiers are filled out from the top of season-long Circuit points leaderboard. This year, 50 players will automatically qualify, leaving 50 seats up for grabs based on the U.S. leaderboard. (If there are any double-qualifiers, the highest remaining point-getter on the at-large leaderboard receives entry). All players who have earned a free entry will receive a $500 travel stipend and three nights at the Harrah’s Cherokee hotel , plus one additional night for anyone making the final table. As in years past, the top 100 players in the WSOP world rankings have the opportunity to buy into the Global Casino Championship directly for $10,000. The world rankings are compiled based on players’ performance in WSOP gold bracelet events in 2014 and 2015. In addition, for the first time ever, any player who won an official ring event on the WSOP Circuit this season also has the option to buy in to the Global Casino Championship directly for $10,000. For all players who buy their seats, the $10,000 is added directly to the prize pool (rake-free), in addition to the $1,000,000 put up by WSOP. With stops remaining in Iowa, Cherokee and New Orleans, plus Montreal on the International Circuit, in the coming months, eight players are still to be added to the automatic qualifiers list (50 entries total), with 50 additional players scratching and clawing their way down the final stretch of events via at-large bids for accumulating the most points on the 19-stop WSOP Circuit tour that began back in August, 2015 in Connecticut and runs through the Harrah New Orleans stop from May 12–23, 2016. So the final list of entries for the 2016 WSOP Global Casino Championship will likely fall between 100-200 and the prize pool should end up between $1-2 million. The three-day 2015 WSOP Global Casino Championship No-Limit Hold’em tournament will get underway at 12 noon on Tuesday, August 9 in the Harrah’s Cherokee Events Center with all eligible players. Television cameras will be on hand to cover the action with the final table taking place on Thursday, August 11. The 2015-16 WSOP Circuit Tour features 19 stops throughout the United States that began on August 6, 2015 and runs through May 23, 2016. Additionally, six events were scheduled as part of the WSOP International Circuit that qualify for this championship as well. *The WSOP Circuit Events and culminating championship are subject to tournament rules and restrictions. The timing, number and location of events are subject to change and all applicable gaming regulations. The World Series of Poker (WSOP) Circuit Events are a series of poker tournaments hosted throughout the United States beginning in August each year, and culminating the following May. The Global Casino Championship, a qualifying tournament with a $1,000,000 prize pool provided by WSOP and televised on ESPN awards the victor a WSOP gold bracelet. WSOP Circuit Events are designed to give the recreational and amateur player an opportunity to participate in the WSOP experience at a more affordable price point and with less of a time commitment than the traditional WSOP in Las Vegas. Each stop features 12 official events in 12 days, including a $1675 buy-in No-Limit Hold’em Main Event – the most expensive buy-in event on the 12-event schedule at each stop. Official WSOP Circuit events range in buy-in from $365-$1675 and award a prestigious WSOP gold ring to each victor. These poker tournaments are designed to reach a winner within two playing days, with some events even structured to complete in one day. In 2015-16, the WSOP Circuit season consists of 19 stops in the United States, plus 6 International stops. The 19 U.S. stops are all tied together by a cumulative points system that awards points based on finish in individual events. A season-ending Global Casino Championship is held each August with the Top 100 qualifiers. 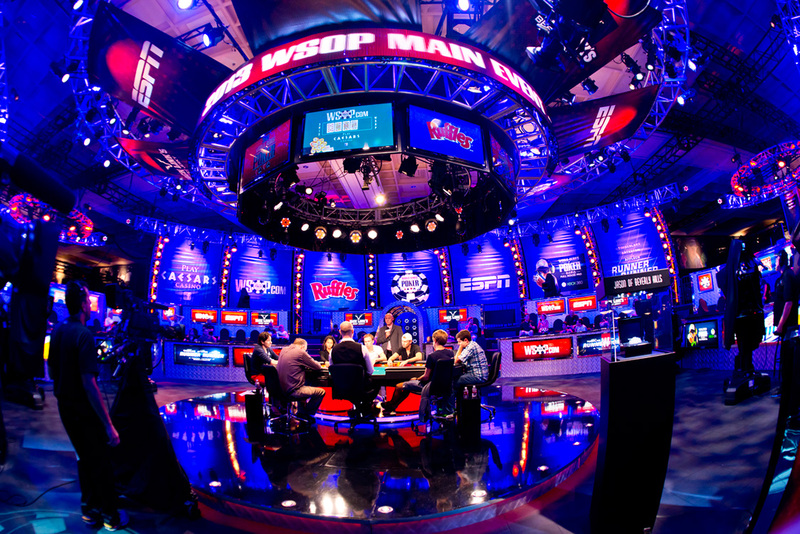 The winner of each stop’s Main Event (the only three-day structured event) gains automatic entry into the season-ending WSOP Global Casino Championship, as does each stop’s Casino Champion – the person who accumulates the most points throughout the 12 official events at a stop. Two players at each stop earn automatic entries into the season-ending championship, with the remaining players being made up of at large qualifiers whom have accumulated the most points throughout the U.S. Circuit season. Players who finish within the top ten percent of the field are typically awarded prize money on an escalating scale until there is one player who has captured all the chips. That victor wins the largest share of the prize pool, a WSOP Circuit gold ring and points towards championship qualification. For International Circuit Events, those are closed-loop events, awarding two automatic entries at each stop, one for the Main Event champion and one for the Casino Champion. The WSOP Circuit Events are an offshoot of the longest-running, largest, richest and most prestigious gaming event in the world, dating back 46 years to 1970 – the famous World Series of Poker. This marks the twelfth year the WSOP Circuit Events have been held. They were initially established by Caesars Entertainment (then Harrah’s Entertainment) after its purchase of the WSOP brand in 2004 as a way to bring the WSOP experience to Harrah’s-owned properties throughout the U.S. In the inaugural season (2004-05), the WSOP Circuit featured five stops – Atlantic City, Lake Tahoe, Las Vegas, San Diego and New Orleans. Now, with 25 stops, the WSOP Circuit visits a dozen U.S. states and half-a-dozen international cities. Cumulatively, these events feature more players participating in it than the Las Vegas version of the WSOP. Caesars Interactive Entertainment, Inc., (CIE) owns the WSOP and the WSOP Circuit Events. For more information, visit www.wsop.com/2015/Circuit/ or follow us on Twitter at www.twitter.com/wsop. An enterprise of the Eastern Band of the Cherokee Nation, Harrah’s Cherokee Casino Resort is located in the heart of the Great Smoky Mountains of Western North Carolina. The Casino has 150,000 square feet of gaming space, and offers traditional table games such as black jack, roulette and craps. The property also features over 1,100 hotel rooms, the Le Fu Men gaming area, 10 restaurants, the ESSENCE Lounge, the luxurious 18,000 square feet Mandara Spa and seven retail shops. In addition to the 56-acre property, guests have privileged access to the Eastern Band of the Cherokee Nation-owned Sequoyah National Golf Club. For complete details please visit www.HarrahsCherokee.com.